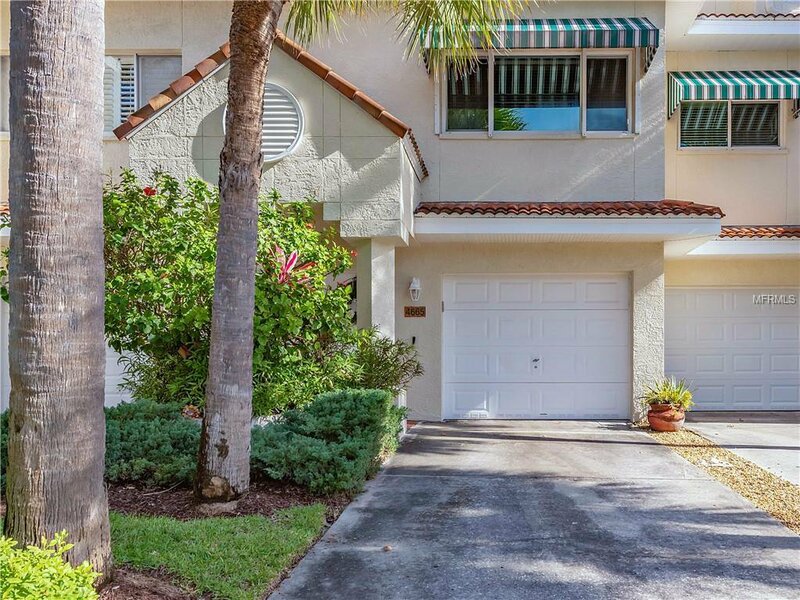 Live the Boating & Waterfront lifestyle in the Townhouse community of Mirabella on St Pete Beach. When it comes to beach locations, this subdivision is close to it all. Including shopping, restaurants, hotels, and less than a 5 minute walk to the beach. When driving it's a 20 minute drive to down town St. Pete. and 30 minute drive to the Tampa International airport. This home has plenty of fantastic amenities, including Hurricane Shutters, new roof in 2017, a brand new air conditioning system installed in 2018. This 2,275 sf 4 bedroom/4 bathroom, 1 car garage also has a brand new dock with a 12,000lb boat lift (slip #12) that can be seen from the balcony. Each bedroom has it's own full size bathroom. The large master bedroom has vaulted ceilings with 2 walk-in closets. Located on the same floor as the master, you have a second mini-master and an indoor laundry area with full size washer and dryer. If you do not need the 4th bedroom, it can be used as a family room, office, or a theatre/entertainment room. This is private resort style and it makes you feel like every day is a vacation. While grilling on your balcony you have a breathless view of the community marina, and the wide open waters of the Bay. The community has a heated pool with restrooms, meticulously kept grounds, and a private gate for residents to enter the shopping center or use for a shorter walk to the beach. The HOA fees are only $242 per month! BOAT SLIP AND LIFT fee of $101 a month , both fees are paid quarterly. Listing courtesy of KELLER WILLIAMS RLTY SEMINOLE. Selling Office: RE/MAX METRO.